The automation system PSS 4000 is used to implement safety and automation with the aid of the software platform PAS4000. In the tutorials you will discover lots of tricks for working even more efficiently with the software platform. 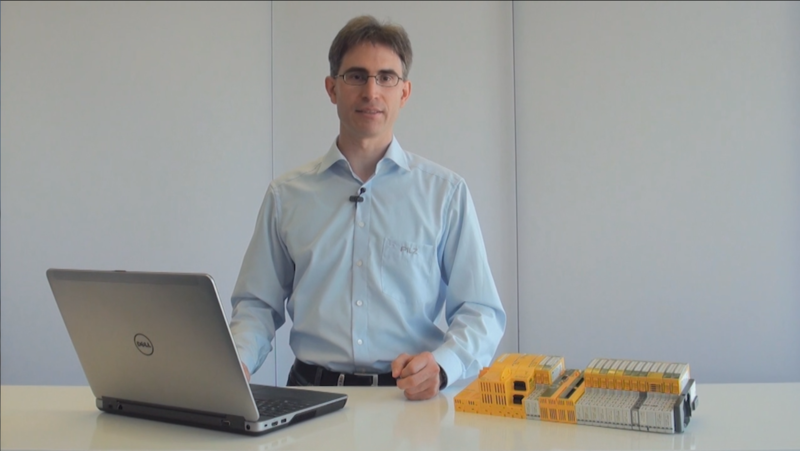 Over previous series we have shown you how to launch a project in PAS4000 and program it. But what about after the project has been created? In the tutorials of today's series you will find out how you can complete and deliver your project after successful programming. For this purpose, you will learn about the functions for saving projects and blocks, protecting projects, current capacity utilisation, displaying check sums and generating the project report. In addition, you will learn how to review your program at the end of the application creation process using the online "Dynamic program display" and "Variable list" functions. With the automation system PSS 4000 you can implement various automation projects for safety and automation. The system is composed of various hardware and software components, plus the real-time Ethernet SafetyNET p and corresponding network components. All components are closely matched to each other, providing the ideal solution for your automation project. The automation system’s innovative software platform PAS4000 manages all the editors and enables uniform handling of your project .